Thanks to Bloggers Love, fashion, beauty and lifestyle bloggers in the UK get to experience an event full of amazing opportunities! Some of which included, modelling for emerging and established brands as well as being gifted new and trending products! Left: Umberto Giannini's Frizzi Miracle Worker With Argan Oil, Iris Sandals tote and necklace, Lip balm from Lip Glam, Necklace from Just Trade. 1. 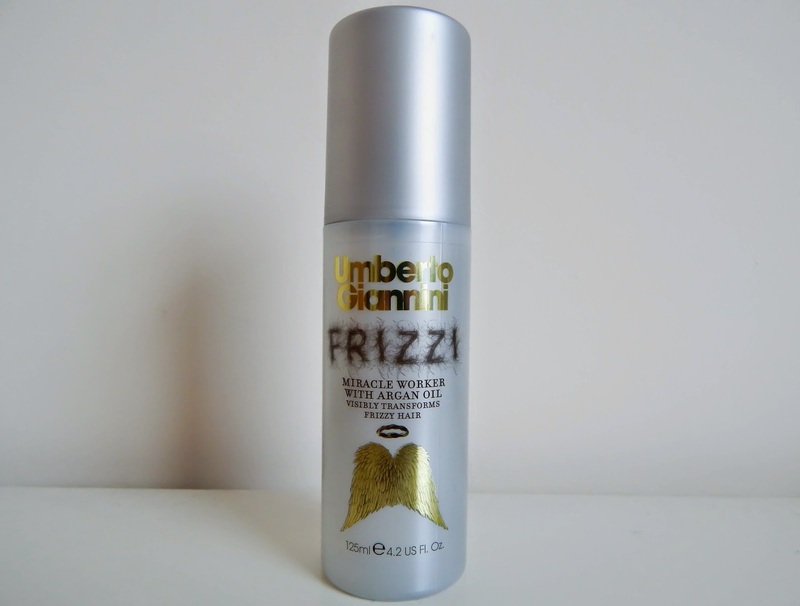 Frizzi Miracle Worker With Argan Oil by Umberto Giannini. Umberto Giannini is a multi award winning hair team and one of the most influential names in British hairdressing with 25 years of first-to-market creativity within its salons and its highly successful own brand hair cosmetics. The product I brought home with me is the Frizzi Miracle Worker With Argan Oil. It is made of Umberto Giannini's salon formula with ancient repairing remedy and silicone blend which leaves hair protected, supple and full of softness and shine. It is suggested for dry, rebellious hair. I've tried this product over 2 weeks already. My hair is a mix of oily and dry. It definitely gets very frizzy. For nights out, they require straightening out with hair straighteners or at least a blow dry with a comb. One pump of Frizzi was definitely enough to give my hair that instant shine and I also found that the frizz on my hair was dramatically lessened. All you have to do is just apply the product onto your damp hair and dry out as normal! I would definitely recommend this product. Of course everyone's hair is different but this so far has been one of the best hair care products I've ever tried! They're also very affordable! You can also purchase them from Boots for just £8! 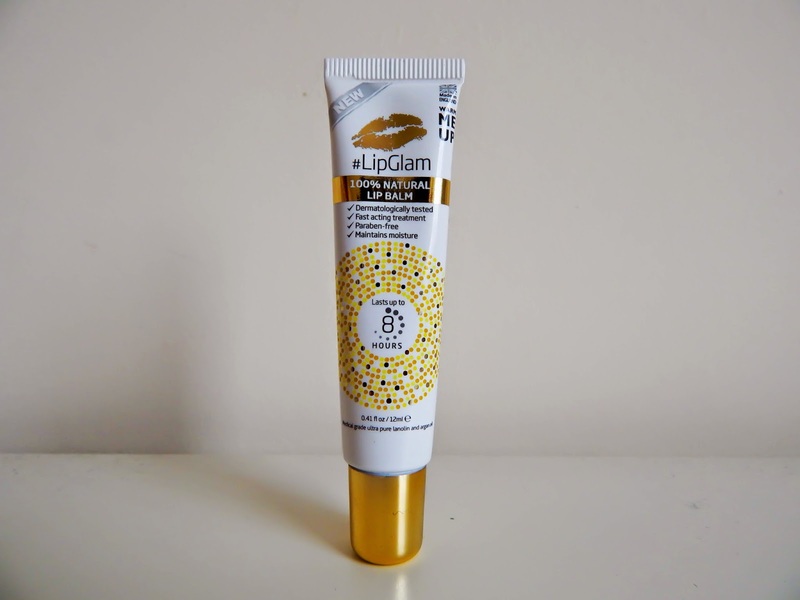 LipGlam is a natural lip balm that uses the power of lanolin to replenish and revitalise your skin. It is said to be highly effective at locking moisture in your skin. It is also a multi-purpose balm which can be used as a dry skin reliever, cuticle ointment, split end soother, eyebrow balm and even as a lip & mascara primer! The first try was very successful! It is a little hard to squeeze out, the instructions recommend to place in hot water before application. I got a tiny bit onto my lips and evenly spread the product out. I tried this on both matte and cream lipsticks. My lips looked much more supple and my lipstick application was very smooth and even! I definitely give this product two thumbs up! Just Trade is an online fair trade and ethical jewellery shop and a proud member of The British Association for Fair Trade Shops and Suppliers. It was founded in 2006 to help fair trade projects with sustainable and long-term routes to market. Using locally-sourced ethical material, Just Trade works together with artisans to create beautiful ethical jewellery and collaborate on designs. 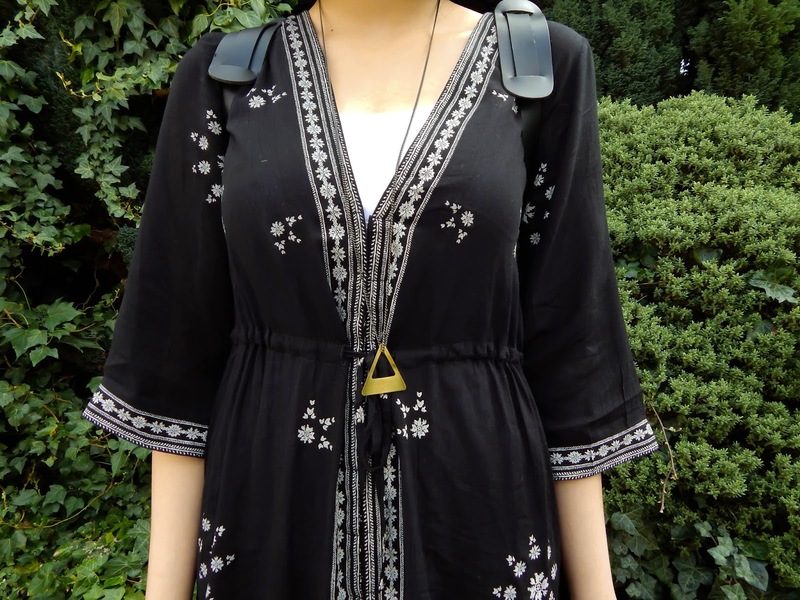 I was lucky to be gifted this gorgeous Triangle Pendent. The brass triangle element is hand cut and polished! It is a versatile piece that can definitely go with a lot of outfits! It's simplicity is also timeless. Definitely perfect for Spring and Summer looks! Iris Sandals is a luxury sandal and accessory brand that specialises in handmade leather embellished designs encompassing comfort, individuality, elegance and luxury with a fresh approach to fashion and a playful twist. Iris is all about timeless designs inspired by the beauty and colours of nature, uniqueness of cultures and infinite opportunities of material blending. Every collection piece is handmade with exquisite attention to detail, using high quality leather and handpicked materials for embellishment. Iris designs caught my eye at the Bloggers Fashion Week the most! They were very unique and beautiful. 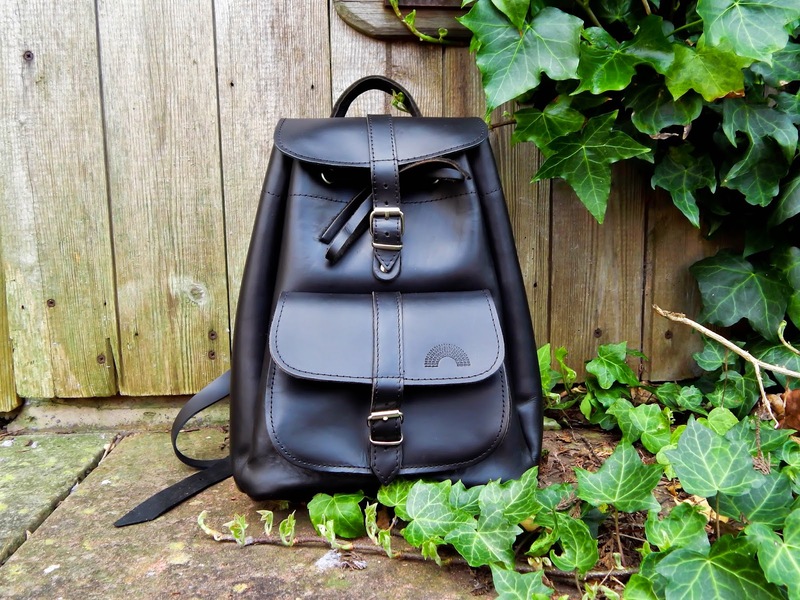 I found them on their Facebook page and contacted the designer and owner of iris to get my hands on this chic leather rucksack! It is a spacious backpack that easily fitted my wallet, make up bag and my Lenovo tab! There is a small front pocket which I used to keep my buss pass and rail card. The straps are adjustable and very sturdy! There is also a zipped back pocket for added security. I love the fresh and minimal look from the back pack. It comes in two colours, brown and black. I felt that black leather would fit both casual and smart looks. Although it was a very tough choice because both shades looked amazing! 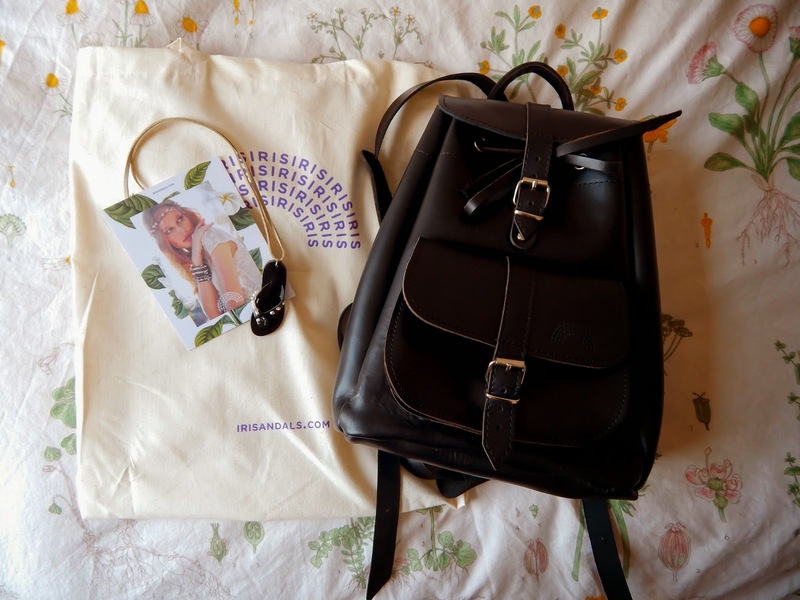 The shipping was quick and my rucksack came in a box and a lovely tote bag! I also received a beautiful hand written card from Anastasia, the designer and this unique sandal necklace! Anastasia was super friendly and helpful! She was very quick at replying any queries I had about the rucksack. I would say that this rucksack is one of my favourite purchases. I can't wait to bring my rucksack out more often! I'd like to thank Bloggers Love again for hosting an amazing event and I wish them all the best for their future projects! Here's our take on the Bloggers Fashion Week Tea Party tag! Hope you enjoy the video! This final week before exams will be intense. Wish me luck guys! I'll see you in 2 weeks time! The cycle of the 4 Wearriors start now! Hi! Thanks so much Bash! And loving your blog too!!! Hair cut suits you and your make up skills are rad!!! So good to meet another Bruneian blogger! Must meet up one day!